In this Session of YouTube for Business we are looking at a very simple question. 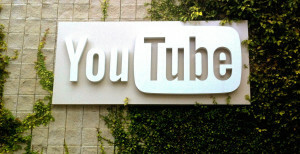 What exactly does it mean to do business on YouTube? The answer to this question is actually another question. What level of business do you want to have on YouTube? Using the platform to promote your business. This could be using promoted video or creating viral videos that you hope will capture a number of eyeballs. The primary metric that you are concerned about is views. Your primary question is: how do I get more views on YouTube? A great example of this is the Dollar Shave Club video. Using the platform to engage your audience. This would be creating videos in a way that people are engaging with them on a regular basis. You are thinking about what kind of content they would like. Then you are seeing which content gets the best watch time, and making more of it. The primary metric you are concerned about is subscribers. Your primary quesiton is: how do I get more subscribers on YouTube? A great example of this is the Lego channel. Using the platform to grow your business. This would be using the video platform to see it impact your business, whether that is direct sales, growing leads, or building awareness and traffic to your website. Your primary metric is business growth of some sort. The question you have is: how do I build an audience of potential customers on YouTube? A classic example of this is Blendtec. Using the platform as another revenue stream. This would be a business that has grown an audience to the point that you’ve become a YouTube Partner. You are making money. And it is a nice supplement to your other business. Your primary metric is … well, what is it? It is a TVi Score. What’s that? Here’s a quick tutorial on it. Your main question is: how do I increase the revenue coming from YouTube? A great example of this is MetroSkaboarding, which is an online retailer that runs a very successful YouTube Channel with a high TVi Score. Using the platform as a primary revenue stream. This is the pinnacle on YouTube. There a number of YouTube stars earning seven figures off of their channels, which is in turn generating a load of offline business for them. Your primary metric is a TVi Score, plus the entire Touchstorm Video Index of metrics that matter. We built these for ourself initially to help us grow a top channel. But we’ve opened it up to the world recently. Your primary question is: how do I attract the attention of business and brand partners for my channel? A classic example of this is beauty vlogger, Michelle Phan. There’s no one way to YouTube. You can see that a wide range of businesses have found success on the platform. And there isn’t just one way to engage YouTube to build your business. It all depends on what you are trying to get done in your business. YouTube is not a playground for kids or stupid pet tricks. It’s too bad that this perception clouds the way people think about YouTube for businesses. Because it is the best platform for building and engaging an audience of your own. You need an audience of your own. Having an audience of your own is critical. And it will only be moreso in the future. Why? Because media continues to fragment. At the same time, more people rush in because the barriers to entry are essentially zero. This means that anyone can start making content people love, amass an audience, and then flip that audience into a business of their own. Either you have an audience, which means you can flip it into a business; or you have a business, and you have to rent it from the audience owner. Renting fragmented audiences is expensive. It will only get more expensive as the media continues to fragment. This is a cycle that’s been going on for decades now, and it’s not going to stop. Unless someone stops people from becoming entrepreneurs. Don’t just keep renting an audience. If you have big budgets and just want to keep renting your audiences, then here’s what’s going to happen. These upstarts on the new media channels are going to build an audience — your audience — and then they are going to launch a business. In your space. Then when they are growing and you are declining, you are going to wonder what hit you. It is happening now. But it is going to accelerate. So, do yourself a favor and start building your audience now. Get started building your audience. Align on your goals. What are your business goals? What do you hope to accomplish with a YouTube channel for business? Which of the 5 Levels of Business are you shooting for? You won’t have any benchmarks, so just get some goals down to shoot for. Be concrete and specific. And adjust as you go along. It will take some time to determine. Assemble your team. You cannot go this alone. You will need strategy to come up with a plan. You will need production to create the videos ? this includes writing, camera, actors, editing at a bare minimum. You need someone to post videos, write titles, create metadata and manage the channel. And then you need someone to watch the analytics and monitor comments (and respond). Then you need someone(s) to market the videos for you so you grow views and audience. It takes a team to make this work. You can outsource, but you need resources to build a YouTube business. You need to plan on it. Audit your existing content. You probably have existing text, image and video content on various sites, channels and servers around the company. Pull all of these together into one place and grade them. We have some tools that can help with this. Act (& think & plan & engage) like a YouTuber. Yeah, we know. What does this mean? We’ll cover that in the next session. Until then, work on 1-3 so you will be ready to get going. YouTube is open for business. It is the best platform to build an audience of your own. The question is, will you? Watch for Session 3 next week so you can learn more about how to use YouTube for business.